For my 2016 IRA Contribution, I bought the Vanguard Dividend Yield Fund. I love dividend stocks, but given the price levels, I’m not too keen to throw loads and loads of cash at it. Going forward, I want to make dividend stocks a bigger part of my portfolio. Thanks for sharing and have a good one. That’s great. Yes, I agree. Stocks are overvalued at this point, and market is at its peak. Besides my automatic contributions to my retirement account, I am keeping cash on the sidelines for now. Best time to purchase dividend funds or ETFs is during dips or market corrections – it is not timing the market – but it is a simple form of value averaging. Really interesting. And I’m intrigued to read your next post. I am currently all in on VTSAX. The idea of dividend investing sounds good to me, in that it would be great to be able to have money coming in without having to worry about selling off stock. At the same time, I didn’t want to take the time to research and manage an individualized portfolio. It also seemed like stocks would grow faster (and be taxed less during my earning years) if the dividends were lower, although I haven’t really done the research to confirm or deny this at this point. Really interested in reading what you’ve found. Welcome back, Matt! Yes, dividends are by far the easiest way to earn money passively. I had to learn that lesson the hard way – managing a portfolio of dividend stocks is doable, but from my perspective, it is not a passive effort. There is so much work to do. VTSAX is a great choice. Have you looked into value ETFs? You might want to look into my simple Rollover IRA portfolio / performance. It has done well. I got my start investing with dividend stocks, so it’s hard to go just to index funds. I put most of the dividends to automatically reinvest once I pick a good stock, and only occasionally sell. So while I do review the 10-ks annually or when big changes like mergers come along, I mostly let my bets ride like MSM. And, for the most part, it’s paid off. Yes, I understand Emily. It is not easy, and I needed to push myself out of my comfort zone to do it. On my after tax accounts, I used to be 100% on individual stocks. However, after my experience on dividend investing and the amount of time it was taking away from me, I decided to switch and it was one of the best decisions I have ever made. Love this, Michael. We’ve been seriously considering dividend investing but haven’t made the leap yet. Maybe now is the time! Thank you, Laurie! The market is at an all time high. You might want to wait for a market correction or pull back to get into dividend investing. While I don’t recommend timing the market, I also don’t think entering the market when it is at an all time high is good. Indexing on a S&P 500 and / or other indices that have long history of solid returns is definitely a good way to invest. If you have your asset allocation done properly, then you don’t need to periodically re-balance your portfolio. My Rollover IRA is based on ETFs that track market indices and I have very happy with the performance results thus far. 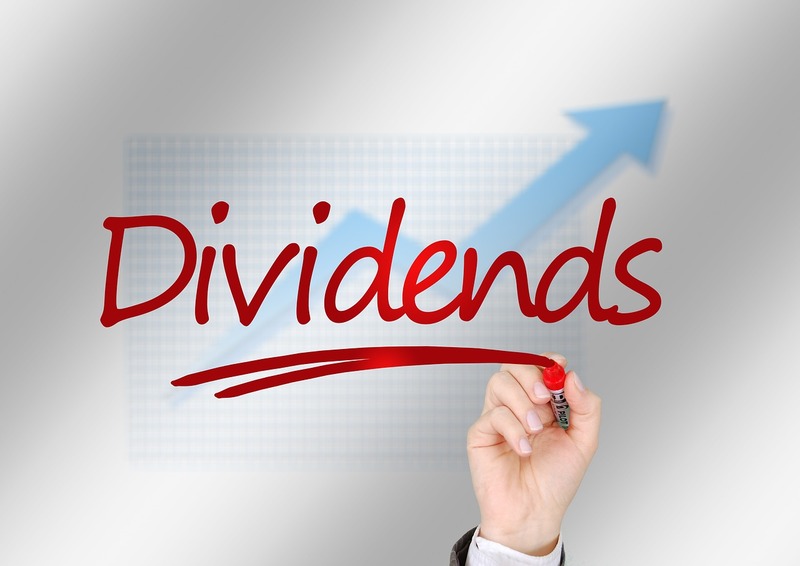 We’ve been relying on dividends to account for a portion of our income stream but we’re not heavily weighted towards dividends. For people who don’t understand them well (including me) the subject is a little daunting. I’m looking forward to the details you share in your next post. It is a mammoth effort to manage a portfolio of individual dividend stocks. Got it. That is a lesson I learned the hard way – It is one thing where this statement would hold true 100% – “It is better to be lucky than right 🙂 “. In my case, it was lesson of blessing to completely divest out of that approach. I have been experimenting with an approach which has been pretty good so far and I ‘m looking forward to writing my next post about it. Wow, looks like got a lot of folks interested. Now, I am feeling nervous! Dividend income is the ultimate form of income, so I’m all for building up that stream of income. I have slowly started to do so mainly through my work’s ESPP, but I imagine I’ll be more focused on dividend income ten to twenty years down the road. The sooner you get into dividend investing, the better it is- meaning the cost basis will be lower and yields will be much higher at the time of retirement. ESPP is a great choice, you are doing the right thing by taking advantage of it. However, as a general rule of thumb, this is something to consider – it is better to not have a single stock be more than 5% of your portfolio asset allocation. Reading this in 2018 so I’m a little bit late. I started a DRIP portfolio of about three stocks years ago but had to liquidate my account because life happened. Then in 2016, I got back into dividend growth investing and started a block to track my progress. It’s only been a short time, but I think it’s one of the best decisions I’ve made. I currently have a portfolio of 16 stocks and just added 2 more. I’ll probably end up with no more than 25 and just manage those for the next couple of decades. Because I started late, I don’t think I’ll be earning enough in dividends to completely cover my expenses, but it should be a nice supplemental income when I retire (hopefully in about 16 years). It would be scary anyway to only rely on my dividend portfolio for my retirement, so I also have a separate Roth 401k and Roth IRA that invest in more broadly diversified funds. I also have a house and plan on getting more over the next 16 years. But of all these various ways to make money, having my dividend portfolio is the one I pay more attention to, not because it is hard or not passive, but because it is fun and profitable. I’m sorry it didn’t work out for you though, but I enjoyed reading the article. By the way, Thanks for the great read Michael.